I decided to have a little fun with Baby V this week. 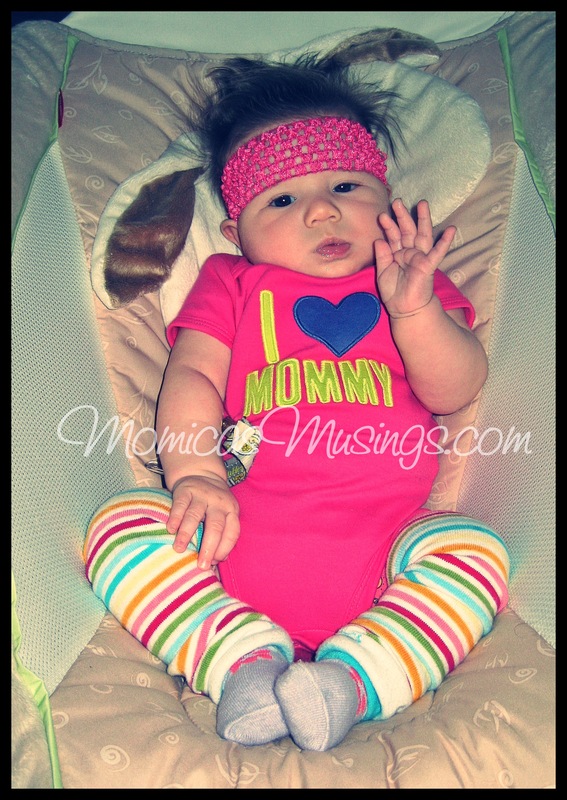 I thought she looked like a little 80’s girl ready to head to the gym for an aerobics workout. Every now and then I get lucky and as her arm moves around I can catch one up like this and make it seem like she’s waving. Last week I found a few links that made me smile. Check out sweet Atticus talking on the “phone” and a cute 2 year old’s birthday. 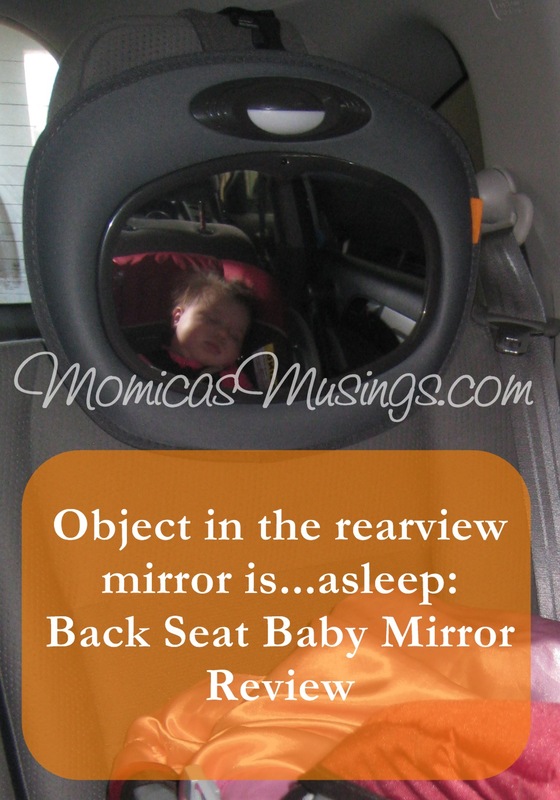 Since babies need to be in the back seat and rear facing in a vehicle, it makes it difficult to see what’s going on with baby girl. Is the sun in her eyes? This is why I decided we needed something to help us see what’s going on in the back seat. I was happy to discover that such an item had been invented and I didn’t have to attempt my own creation. With a three month old baby in the house, life has definitely been turned upside down. Lucky for me (and David), I have come across a few great websites that just might help us keep the sparks going. One such website is The Dating Divas. Each week the Divas post a date idea (already planned out) and then throughout the week they post fun things/ideas to do with your spouse, you children or as a family. 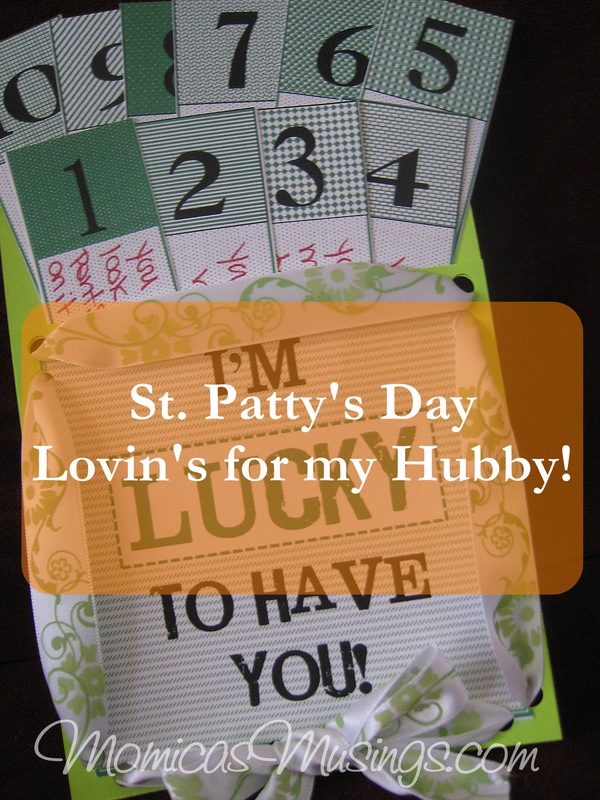 This month they posted some fun printables to use for St. Patrick’s Day. Even though I’m not Irish, thought it would be fun to give my husband some special Lovin’s. So I looked through the printables and I picked a project that seemed like it would be easy for me to put together – I’m Lucky to Have You! 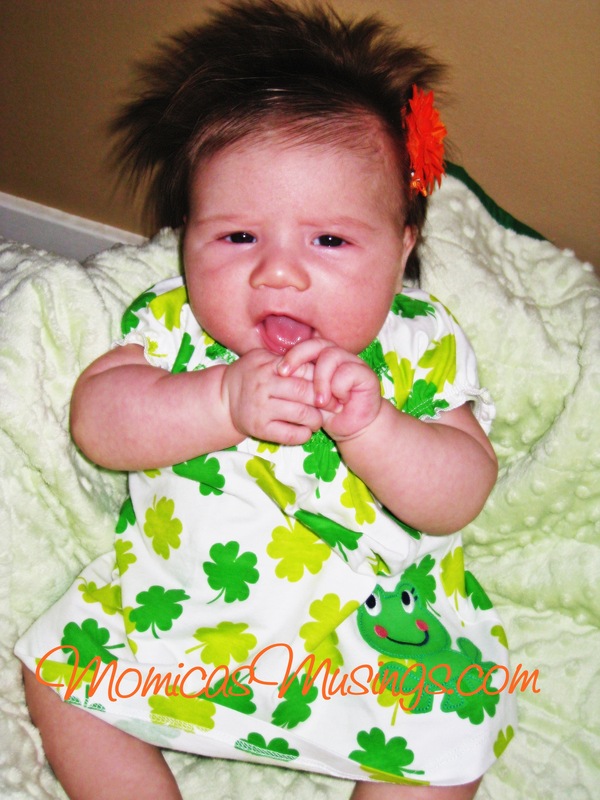 Baby V is 3 months today, so in preparation of St. Patty’s Day we did a little photo shoot. One of her favorite things right now is to eat her hands. She’s our mano muncher. I did my best to actually post on a ThuRsday this week, even if I am down to the wire! When I began my baby registry one of the first things my sister told me to register for was a bottle warmer. It sounded like a good idea to me until I was walking around the local Babies R Us and I came upon a water warmer. 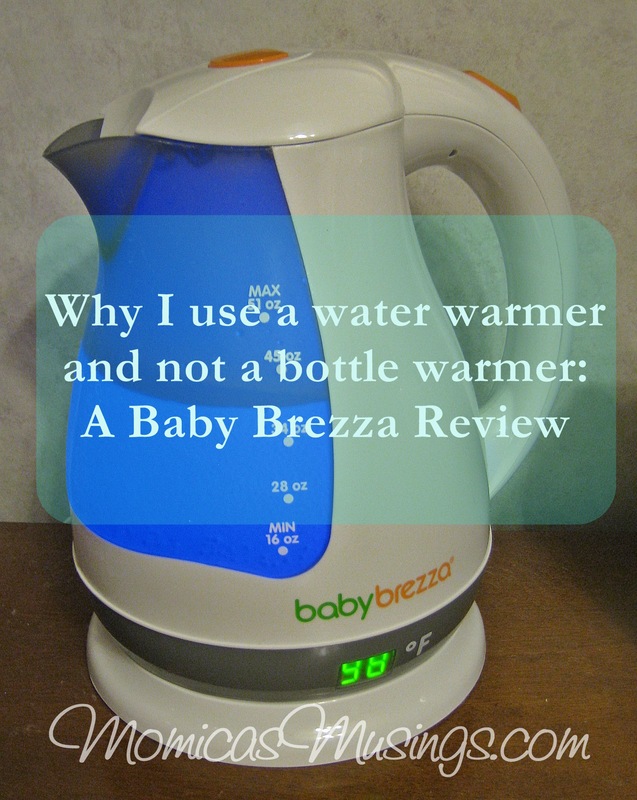 After some research, I chose to register for the Baby Brezza Perfect Temp Water Kettle. 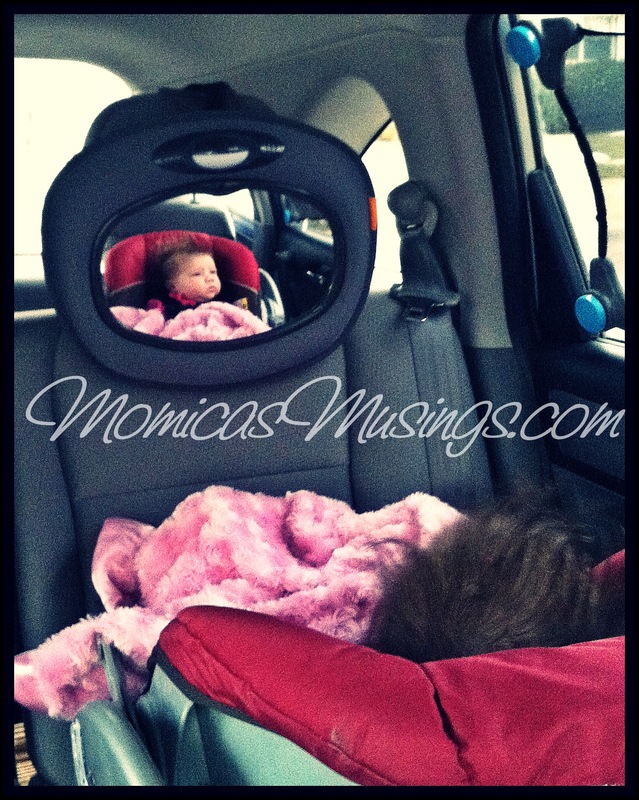 We finally installed the mirror in the back of our SUV so we can see Baby V while we’re driving. I wish we would have done this sooner. It’s so fun to be able to see her. She seemed a bit introspective today looking out the window as the world passed by. Last week had some great links, Gotta love a boy and his dog, a boy and his dad sharing breakfast, this brings back memories of when our baby girl was this small, and loving the bunny ears – Easter’s coming! So…instead of working on my blog during the evenings this week I used my time to finish sewing Baby V’s crib skirt (it’s about 11 weeks late!). Which means my ThuRsday Review didn’t get posted on ThuRsday. Sorry! 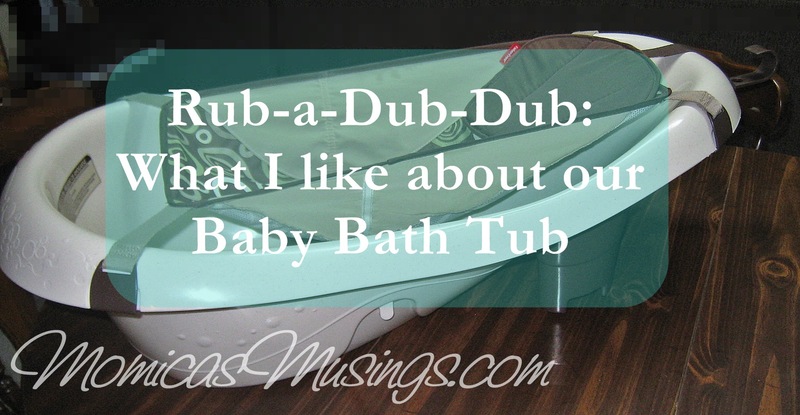 This week I decided to give a review on the baby bath tub I registered for and received, the Fisher-Price Calming Waters Vibrating Tub.